it's not us, it's you. And now there's a koozie to prove it. 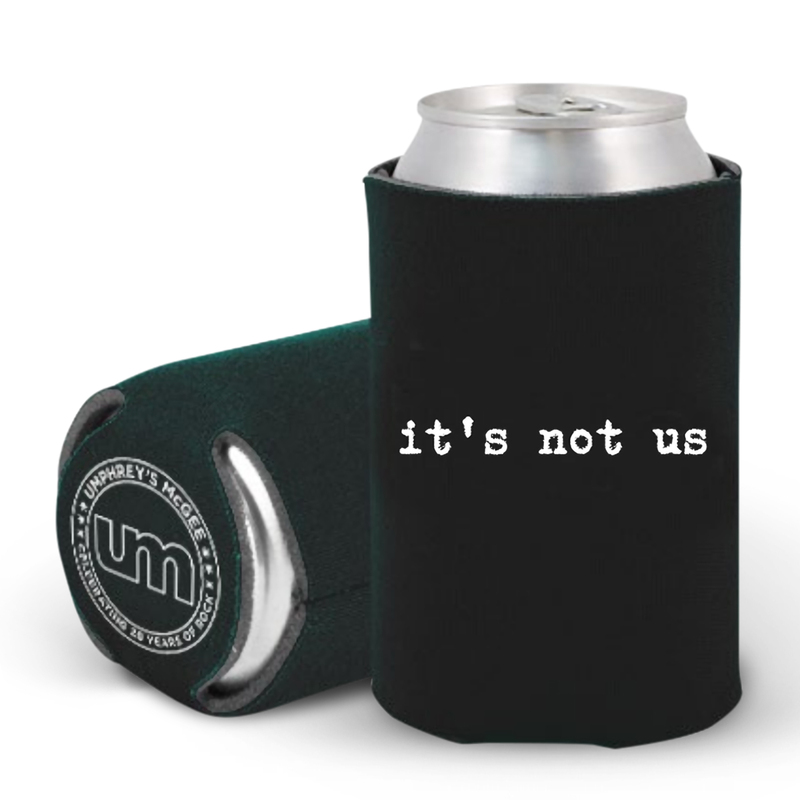 With it's not you on one side and it's you on the other, this koozie has the UM 20 Year Anniversary logo on the bottom so when you tip that beer back you can keep on representing. it's you is the surprise follow up companion album to it's not us (released January 12th, 2018). Recorded in the same studio session as it's not us, the album contains 10 tunes that have never been recorded, 7 of which are brand new, never performed live by Umphrey's McGee. Grab the tee and the album today.